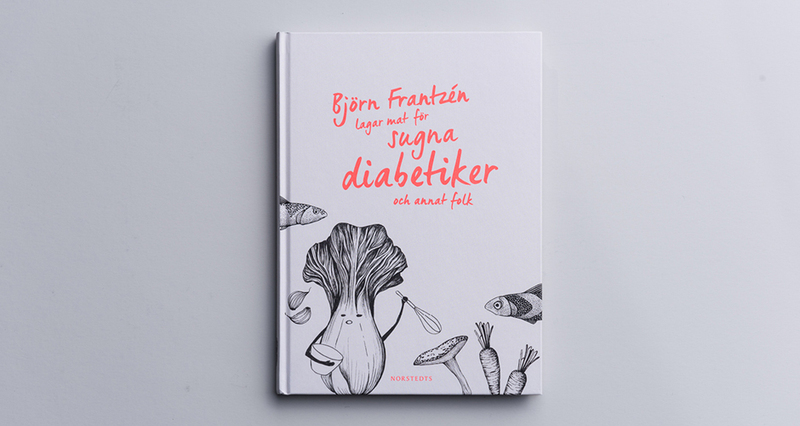 When the well known Swedish chef Björn Frantzéns daugther was diagnosed with diabetes their familylife was turned upside down. 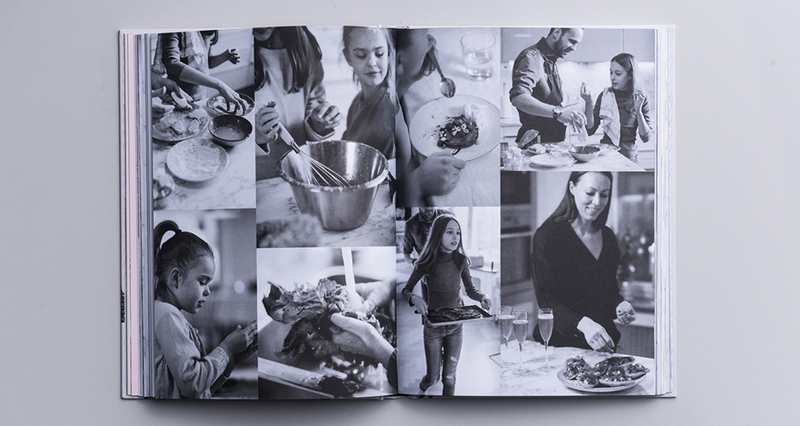 They had to reassess everything, of course even the food. 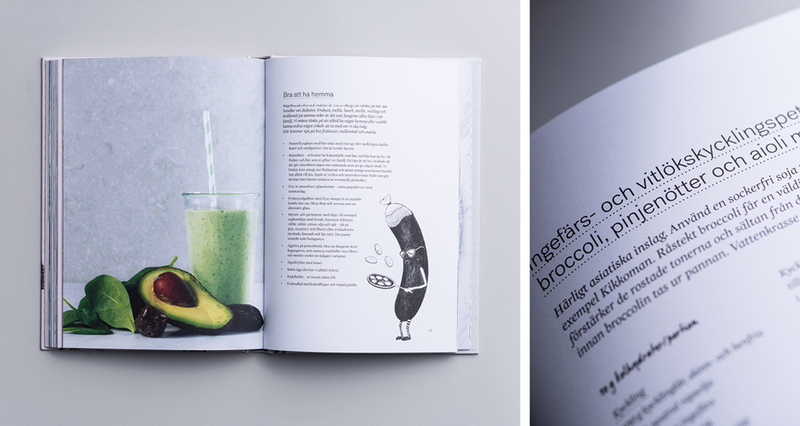 So Björn and his wife Sara who has a degree in public health started to make their own healthy recipes with less suger. 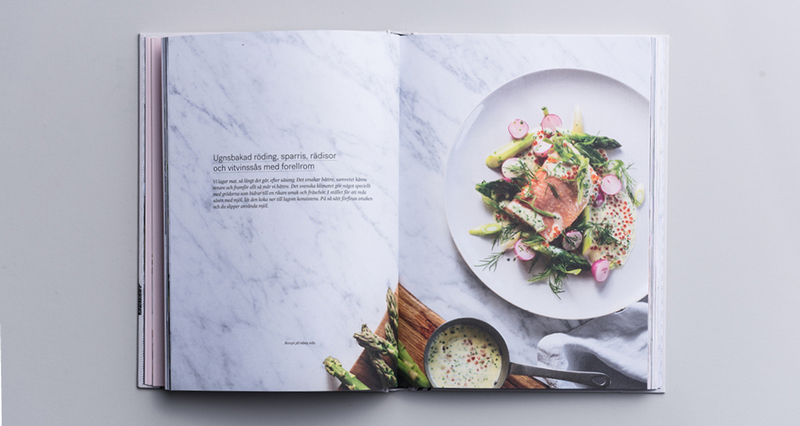 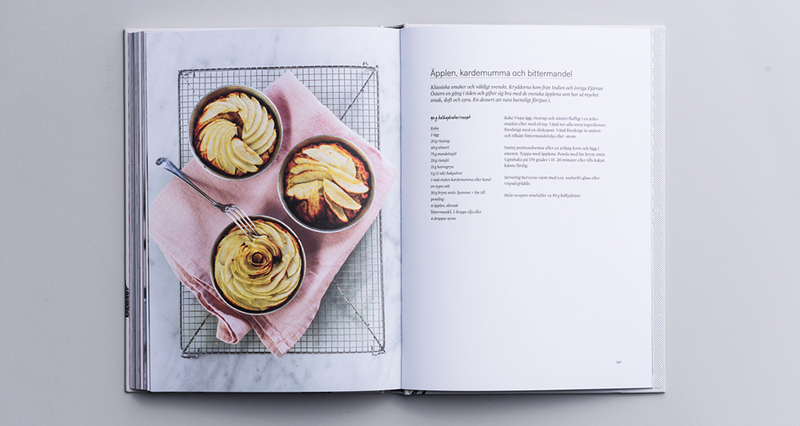 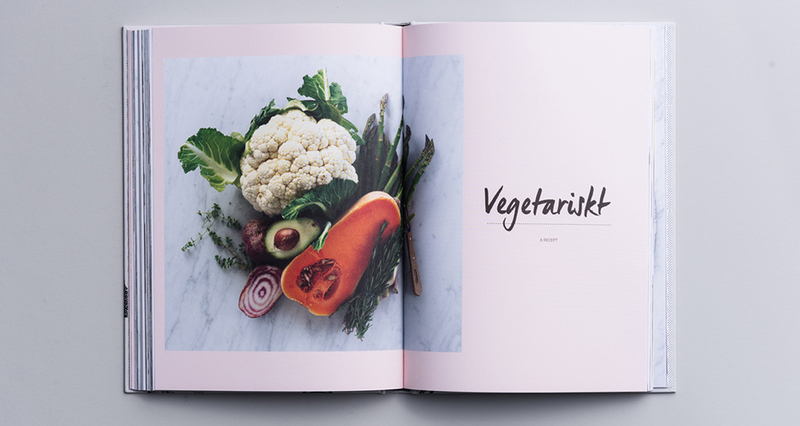 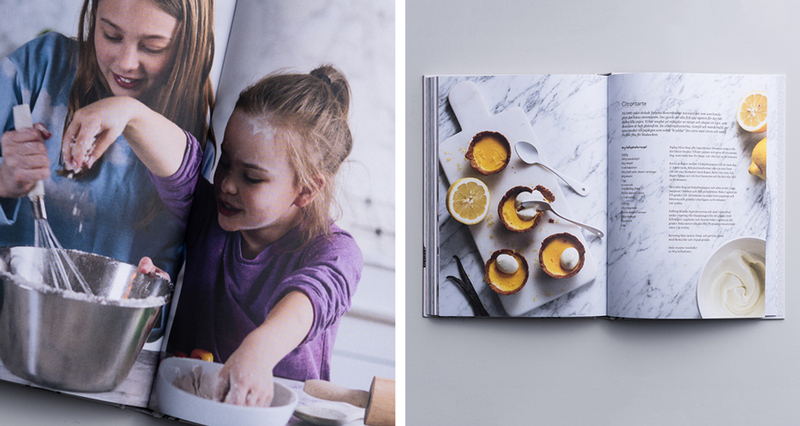 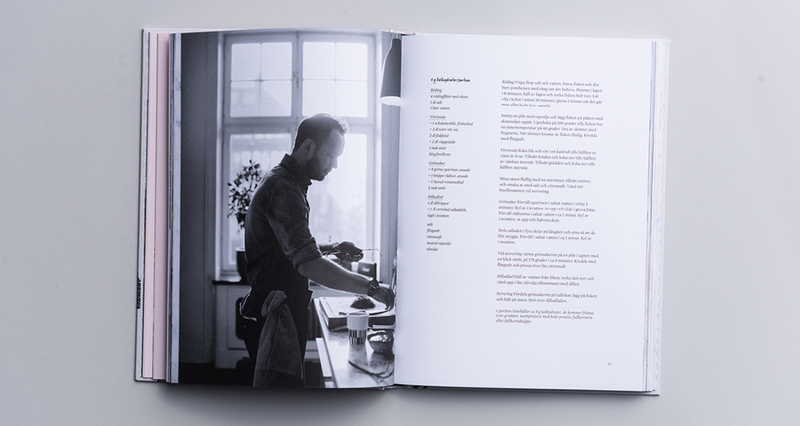 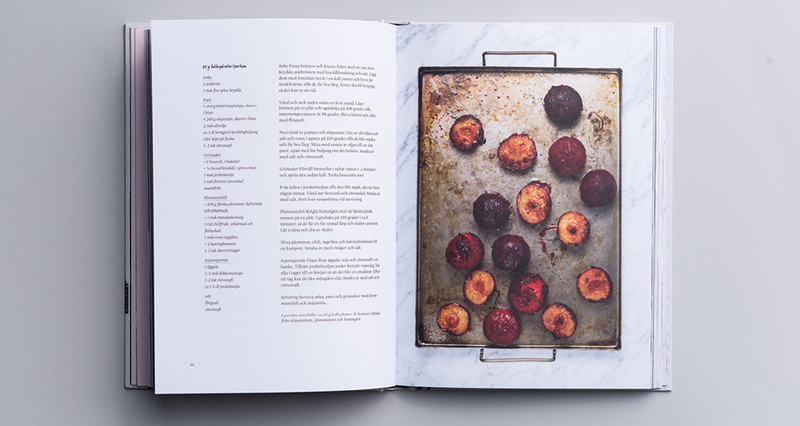 This resulted in this cookbook – made for everyone! 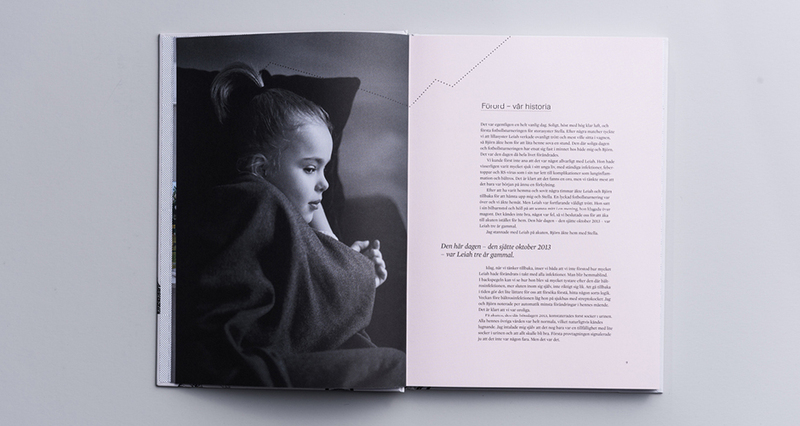 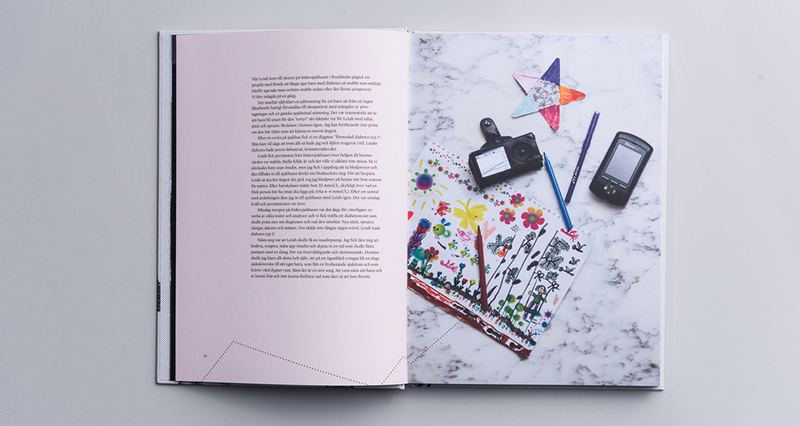 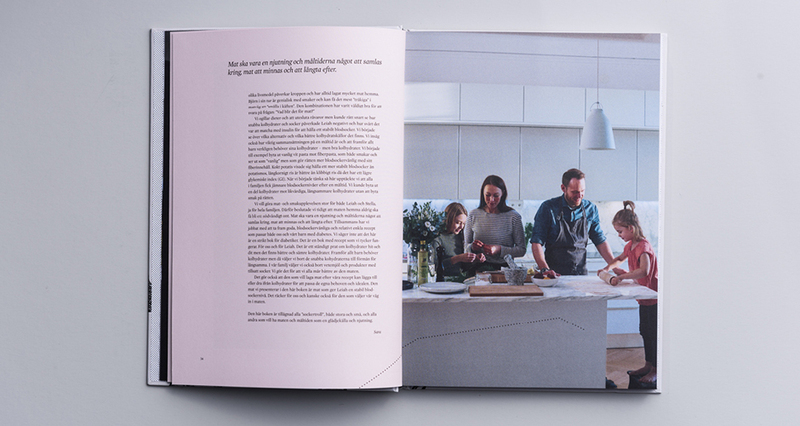 The book is designed with the fonts Mercury Display, Post Grotesk and a handwritten headline. 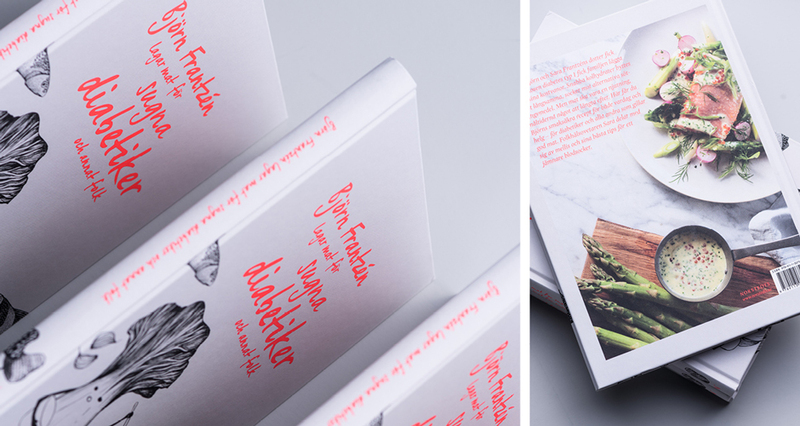 Illustrations by Jenny von Döbeln and the effect on the cover is fluorescent. 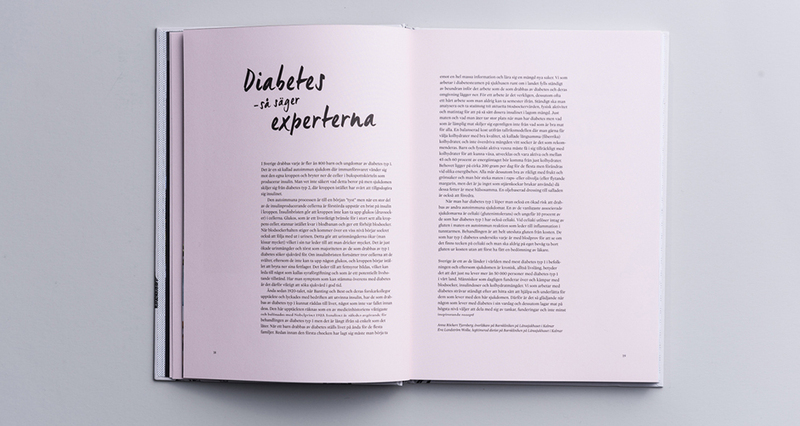 The dots are a visual representation of the illness (diabetes).